Massive cuts to jobs and services are expected to be approved by councillors in Northamptonshire later. The county council, which is facing a funding shortfall of £70m, will discuss an action plan on Thursday that would see budgets for services slashed. Children’s services, road maintenance and waste management are among the areas in line for “radical” cuts. 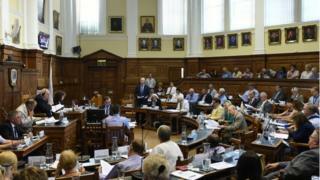 Other councils face similar issues, with East Sussex planning service cuts to a legal minimum “core offer”. The government sent in commissioners to run Northamptonshire in April after the authority revealed a projected overspend of £21m for 2017-18. But the council’s director of finance was forced to issue a second spending control order to stave off a projected budget shortfall of £60m-£70m this financial year. Northamptonshire’s leader, Conservative Matt Golby, said balancing the county’s books would require “some very difficult decisions” including “rigorous controls on spending, recruitment and contracts”. An unspecified number of redundancies are also expected to be proposed at Thursday’s special council meeting. The threat to cut children’s services led to a warning from Anne Longford, the children’s commissioner for England. 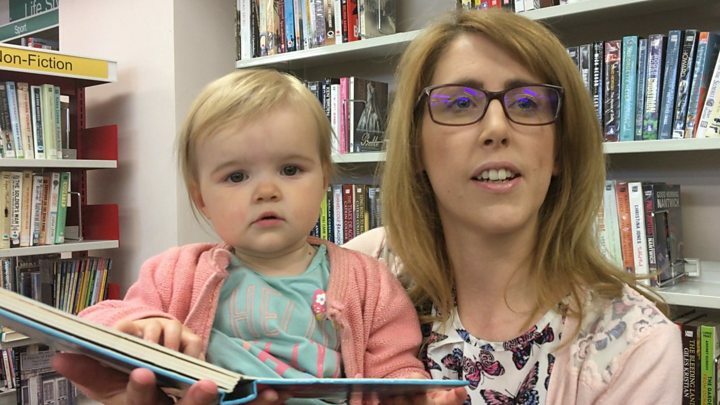 She said she feared the financial crisis at Northamptonshire County Council would have “catastrophic consequences” for some children. The Department for Education said it was working across government to ensure Northamptonshire met its legal duties to children. Could it happen anywhere else? Northamptonshire County Council, which has an annual budget of £441m, is the only authority so far to have formally declared itself at risk of spending more than the money it has available. However, the National Audit Office (NAO) has warned as many as one in 10 larger local authorities in England with responsibility for social care are draining their reserves and will have exhausted them completely in three years unless something changes. It project that another one in 10 would run out within five years. These reserves are sometimes seen as “rainy day” funds. They are there for unplanned expenses or planned one-off costs. They do not get topped back up again unless the council finds the money from somewhere else. Research released by the County Council Network (CCN) in June suggested England’s 36 shire authorities face funding pressures totalling £3.2bn over the next two years. CCN chairman and Kent County Council leader Paul Carter said: “Shire counties face a triple whammy of funding reductions, rising demand for services and are the lowest-funded type of authority. A Ministry of Housing, Communities and Local Government spokesman said: “The financial challenges facing [Northamptonshire] council are clearly serious and reinforce how important it was that we took swift action to appoint commissioners. This council is in a crisis like no authority has ever faced before. Thursday’s “action plan” will deal with the financial crisis and see “radical service reductions” imposed. But for the people of Northamptonshire and other councils across the country watching closely, it is not yet clear what that means in practice. The specifics of what impact this will have on services and jobs is still to be worked out. When we get that detail the true scale of the impact of this crisis will become even clearer.